Cyberpunk 2077 is still quite far from release, but players are still curious about the next big RPG by CD Projekt Red nonetheless. In a recent interview with the game’s composer, some new interesting details on the game have been revealed. 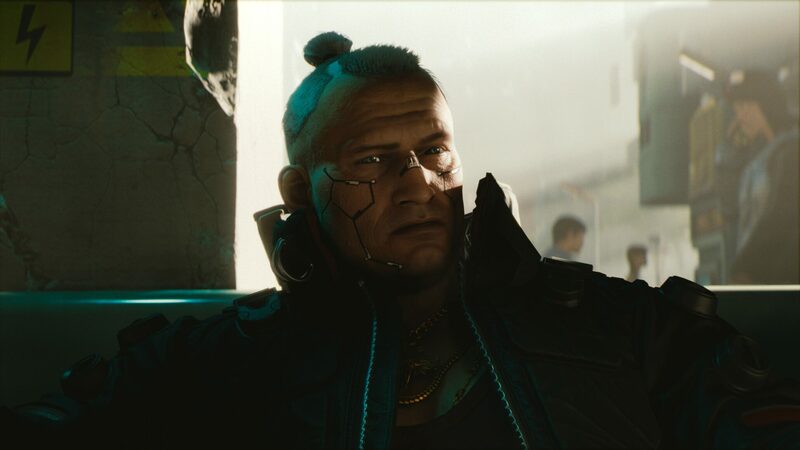 Speaking with Gamer Professionals, Cyberpunk 2077 composer Marcin Przybyłowicz talks about a variety of topics, answering some questions about the game as well. While speaking about the differences between the Cyberpunk 2077 and The Witcher 3 soundtracks, Marcin Przybyłowicz noted how the new game’s setting allows for a lot of things The Witcher 3 didn’t. Music will be much more diverse, and with the game’s world being more open than ever, there will be much more source music placed in the world connected organically to it and to the narrative. So, the approach, as I said, totally different because it’s a totally different universe. A totally different world. And the goals that music needs to achieve are also… well they’re not that different compared to The Witcher because it still is this trait of music but, I think I can say it now that the world in Cyberpunk is going to be even more open. It’s obviously set in 2077, so that means we have electricity, we have technology, so that also means that we have various amounts of devices that can play music. For example: personal media players, P.A. systems in clubs, boomboxes, whatever, which we didn’t obviously have in The Witcher. So, that means we are going to have much, much more source music placed in the world connected organically to the world and the narrative in [Cyberpunk 2077] than in The Witcher. In The Witcher we were quite limited by the age – the made-up age obviously. The fantasy version of the Middle Ages. Elaborating further, the Cyberpunk 2077 setting allows going crazy with placing musical cues in the world and that’s a very big change for the sound team. So, in terms of source music you could have a band of bards, for example, in Novigrad playing some catchy tunes, but apart from that, that was basically it. You couldn’t go beyond that because it wouldn’t sit well in the world. It wouldn’t be believable. People wouldn’t buy it as a part of the background for Geralt’s story. With Cyberpunk things are completely different because the world itself allows us to go crazy with placing specific musical cues in the world and treat them as part of the audio layer in the world. So, for example, that’s a very big change for us. That also changes the scope of our work dramatically because that means we have to prepare much, much more of this than we did for The Witcher. Marcin Przybyłowicz also mentioned that dynamic, adaptive music will make a comeback in Cyberpunk 2077. You approach the gangster, you take a whiff from the inhaler, have some chit-chat, and basically it looks like the deal is gonna be finished without drawing your gun. But then things go south and a shootout starts. It doesn’t really differ that much from what we have done with The Witcher because for us adaptive music was always the key point. For example, in this playthrough if we would have acquired this bot without killing anyone else the music would have to work according to the pacing. So, the system is built in a way that it is prepared for several options at any time. So, for example, if a player decides to suddenly go nuts the music will follow that and, you know, will increase the temperature of the atmosphere as needed. Does that make sense? Finally, there’s the chance that there might be some licensed music in the game. Which probably helps a lot because you don’t have to worry about buying the rights to a song like, say, Rockstar would with all radio music that’s in Grand Theft Auto V. That’s probably really handy. Has this sort of thing, with song licensing instead of creating your own, come up in the development of Cyberpunk 2077? That’s part of the territory I’m not very comfortable, at the moment. So, we would have to pick that up like six months from now [laughs]! Cyberpunk 2077 is now in development for PC, PlayStation 4 and Xbox One.